Return on investment, otherwise known to those tapped into the real estate industry as ROI, is none other than one of the most important indicators for investors to pay special considerations to. It is ROI, after all, that could suggest whether or not an investment is worth pursuing. Therefore, it is of the utmost importance to familiarize yourself with the concept of return on investment, and what it could do for your business. It is worth noting, however, that ROI isn’t relegated solely to investment properties, but it also pertains to anything and everything that will have an investor spend money to make money. For example, summer home improvement projects may coincide with a return on investment. The best real estate investors don’t make improvements for the sake of making improvements; they do so to increase their return on investment. That said, do not simply make an upgrade to your home because you want to, but rather because it’ll help you sell it for more money. And, as it turns out, there are certain projects that’ll help you do so more than others. Without leaving much room for interpretation, return on investment is probably exactly what you would have assumed: the ratio between the net profit and cost of investment resulting from an investment of some resource. A favorable return on investment, for that matter, suggests an investment’s returns compare positively to its initial cost. In other words, you get more out of an investment than you put into it. Of course, it is possible for ROI to trail into negative territory, as it’s more accurately portrayed as a performance measure. Perhaps even more specifically, however, ROI is a metric used to measure the amount of return, relative to the cost. As such, ROI is typically used to compare two different types of investments. Upscale Garage Door Replacement: According to Remodeling, the average cost to replace an upscale garage door rests somewhere in the neighborhood of $3,470. 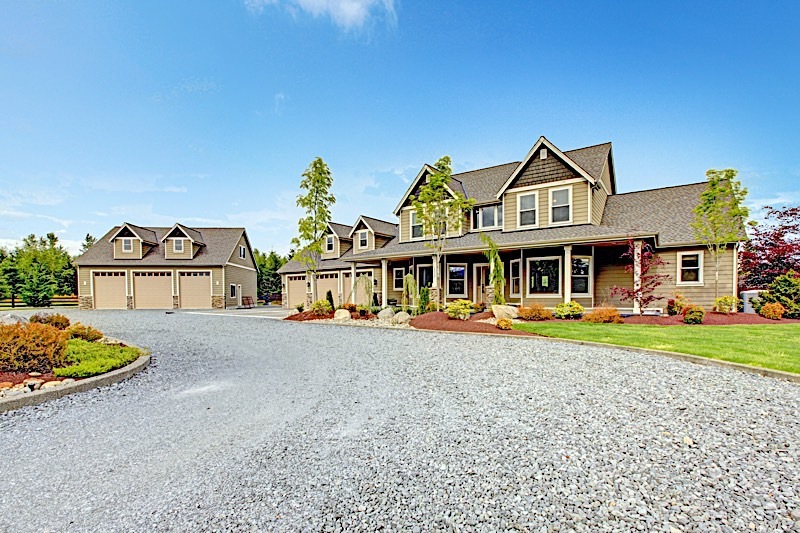 The resale value of a new upscale garage door, however, is about $3,411. As a result, this type of project recoups an average of 98.3$ of the initial cost. Midrange Manufactured Stone Veneer: Based on data collected by Remodeling, a midrange manufactured stone veneer project will set homeowners back an average of $8,221. However, the resale value of such a project is roughly $7,986 and can recoup as much as 97.1% of the initial cost invested. Midrange Steel Entry Door Replacement: On average it’ll cost homeowners $1,471 to replace a steel entry door that corresponds with a resale value of $1,344. That means homeowners can expect to recoup about 91.3% of the steel door’s initial cost. Midrange Wood Deck Addition: Wooden deck additions, as it turns out, are quite desirable. They cost an average of $10,950, but they can add a resale value of $9,065. That means wooden deck additions can recoup about 82.8% of their cost. Midrange Minor Kitchen Remodel: The average midrange kitchen remodel sets homeowners back $21,198. The same type of remodel can add about $17,193 to the resale value of a home. That means midrange kitchen remodels are expected to recoup about 81.1% of their cost. If you haven’t noticed, neither of these projects return 100% of their initial investment, but that’s ok; it is their perceived value that proves invaluable to today’s investors. You see, a project doesn’t need to recoup every penny, but rather make a home more attractive to buyers. If for nothing else, a project’s main priority is to sell a home faster, which carries its own value in return. The act of making a home more attractive to prospective buyers is inherently valuable, and is worth a lot more than people realize. So when it comes time to analyze how much value a project adds to a property, by all means calculate its ROI, but don’t forget to account for the perceived value addition. A new garage door, for example, won’t return more than you spent on it, but it’ll attract more buyers and, in turn, possibly sell the home faster and for more money. What is return on investment? The answer is simple, but nonetheless carries huge implications. After all, what is return on investment, if not for one of the single most important indicators for determining an asset’s viability? Those investors that know how to calculate return on investment will harness an important tool; one that can help tilt the scales in their favor. In search of the best return on investment, real estate entrepreneurs need to weigh the many options at their disposal. The best home improvement projects recoup most of their initial cost while simultaneously adding perceived value to prospective buyers. The best home improvement projects to increase value aren’t always what you would assume.